In my little corner of the world, carrying a Personal Locator Beacon (PLB) is essential. With vast areas of the backcountry with little, or in most cases no ability to communicate with the outside world. In the event of an emergency, the likelihood of someone stumbling across you is very slim. So if you’re not carrying a piece of kit that can tell people you’re in trouble, you’re taking your life into your own hands. When I first began hunting PLBs didn’t come cheap and could easily set you back $1200. Today they have halved in price and in size, so there are no excuses not to own one. In my mind carrying a PLB is much like using a seat belt. We use them because we know that in the event of an accident occurring it puts the odds in our favor and its much like this with a Personal locator beacon. 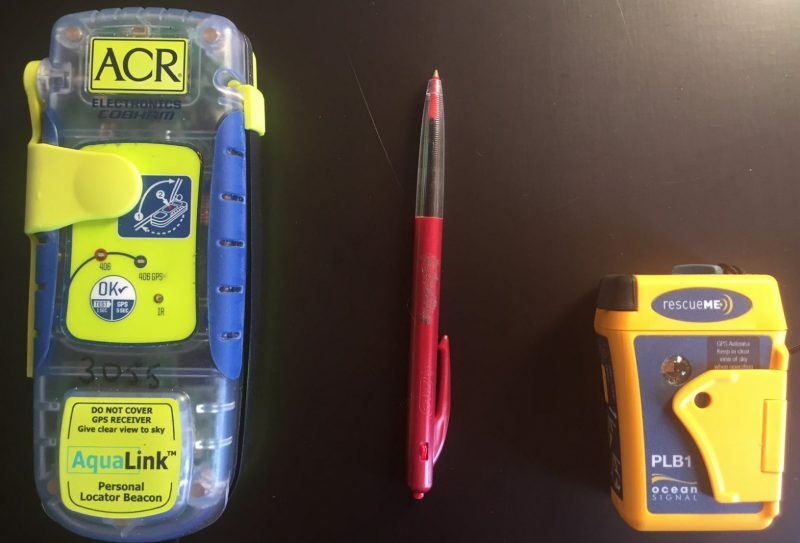 What’s The Difference Between An Epirb And A PLB? Fundamentally an Epirb and a PLB do the same thing. Once activated they will send a continuous distress signal with your geographical location (longitude /latitude). The major difference between the two is how they are registered. Unlike a Personal Locator Beacon which is registered to an individual (person), EPIRBs are registered to a vessel. In larger boats and ships, you will find EPIRBs fixed to a wall where it can be easily accessed and activated by anyone. In a worst-case scenario, when submerged in water they can self-activate and are designed to float. This is why you will notice that EPIRBs are typically larger in size and much heavier than a standard PLB. If you’re looking for an Epirb for your Boat you can check out the latest pricing here. How Does A PLB Work? Once activated a PLB uses digital technology to transmit a unique code (Hex ID or UIN) signal at 406 MegaHertz (MHz) and enables authorities to identify the beacon and its registered owner. The beacon will also transmit on the 121.5 MHz frequency. This signal can be picked up by overflying aircraft and is primarily used by rescuers to “close in” on the beacon’s location. The 406 MHz signal is received by a group of satellites known as COSPAS-SARSAT. This is a network made up of Canadian, Russian, French and American owned satellites. “SARSAT” is an acronym for “Search and Rescue Satellite Aided Tracking”. The 406 (MHZ) is a distress frequency that is internationally recognized and is monitored in America by Air Force Rescue Coordination Center(AFRCC) along with the National Oceanic and Atmospheric Administration (NOAA). Where I live In New Zealand it is monitored by The Rescue Coordination Centre New Zealand (RCCNZ). After receiving your transmission these satellites work together to fix onto your exact location and your position is forwarded onto the AFRCC and NOAA. If your PLB is GPS-compatible this will mean that instead of your position being narrowed down to the nearest 5-mile radius you will be positioned in a 100m. As you can imagine this saves a lot of time for the rescue that will be trying to locate you. Why Do I Need To Register My PLB? Not only is it a legal requirement to register your PLB, it actually helps with any rescue effort. Once the distress signal is received they will attempt to make contact with you and your emergency contacts through the details that were provided as part of your PLB registration. They do this to confirm the activation was not a false alarm and find out any further information you may have left with your emergency contact about your trip. For example, what your travel intentions are and how many people were in your hunting or hiking party. Recently the battery in my old ACR Personal Locator Beacon was due to expire. 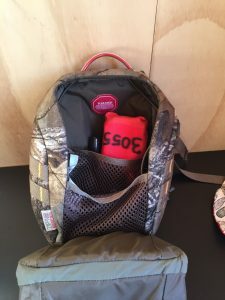 For 5 years it has been with me on all my hunting trips, tucked neatly in either my bino bag or the top of my pack for easy access. When I purchased the ACR PLB it wasn’t the cheapest and compared to today’s offerings it is quite bulky and if I’m honest not the lightest. There have been many times where I have contemplated leaving it at home in order to shave a few 100g of pack weight. So in choosing a PLB, to align with my goal of going ultralight, both weight and size are my main considerations. There are 3 PLB’s on the market in 2018 that stand out from the crowd. Each of these has been designed and built for one-time emergencies and once activated people at the other end will be working ferociously to get to you. 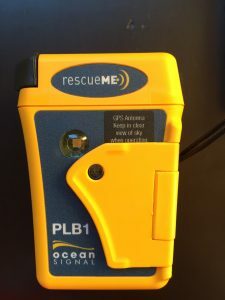 The Ocean Signal RescueMePLB is my pick for the best PLB for hunting or hiking in 2018. It matches the performance of the ACR PLBs but comes 1.4 ounces lighter and is more compact. The only drawback to this unit is it doesn’t float, which is no understatement. It will sink like a stone. This isn’t a problem for me as the environments I’m hunting and hiking are land based with the odd river crossing here or there the exception. To counter this issue though, the RescueMe PLB does come attached to a buoyancy pouch so it can float. In marine environments, you will want to be sure you have this secured to yourself before activating just encase. 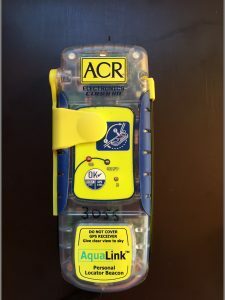 2.ACR ResQlink+ Personal Locator Beacon. Check here for the latest Pricing. Heres a couple of good news stories that I have pulled from one of our national News agencies. If you’re not convinced yet, hopefully, these will help set you straight. “A tramper with a broken leg and no way to call for help was saved because of the distress beacon of an unknown woman nearby. The two trampers were pulled from tracks at Mount Aspiring National Park after 9 pm on Thursday after separate incidents led to them both needing to be rescued. The man faced the possibility of having to crawl with a suspected broken leg back to a track in the hope of finding passers-by, a Maritime New Zealand statement read. He had suitable clothing and food, but did not have a rescue beacon to raise the alarm after he fell.” Credit – News Story posted by Stuff New Zealand. Credit – News Story posted by Stuff New Zealand.